Massive Dynamic is an advanced builder of your unique site or blog. It is a WordPress theme with enhanced functionality. With this theme you can create and modify designs with a simple drag-n-drop editor. Massive Dynamic allows you to edit sidebars, columns, shortcodes, pictures, sliders and more. And it does not require any special knowledge in web design or programming. You can operate with ready units by adding, deleting or moving them with a simple and user friendly drag-n-drop editor. Creating your own unique design has never been so easy! This theme already includes many useful plug-ins and extensions. For example, you do not have to install such extra plugins as: synchronizing with the newsletter service MailChimp, content builder Visual Composer, sliders constructor Slider Revolution, the exptension for online shops WooCommerce, convenient customizator for pricing tables Go Pricing and many other useful plugins. Ability to edit the site without changing the code will allow you to update the design almost instantly. In addition, the theme includes 76 ready shortcodes. This includes the most popular and necessary widgets for your website – from social network buttons to convenient forms for users. Having more than 40 demos in the theme Massive Dynamic allows the site administrator to begin using a WordPress site in a very short time. A choice from 40 options allows you to quickly create a website that is suitable to individual needs. Later, you can change any items using drag-n-drop editor. Massive Dynamic is great for single-page sites and portfolio. You are not limited in the manifestation of your creativity and can show your work in a favorable form. For beginners Massive Dynamic team has prepared an excellent video guides about the management of the theme. Also, users of this theme can enjoy quick and qualified technical support. Disclosure: This page may contain external affiliate links that may result in us receiving a comission if you choose to purchase said product. The opinions on this page are our own. We do not receive payment for positive reviews. Place your awesome WordPress themes and plugins in our catalogue and get exposure on Looks Awesome. © 2014— Looks Awesome. 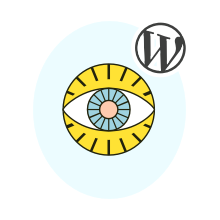 WordPress Digest. Contact Us We would love to hear from you! For items support requests please use another form.